PowerBug wrote: Top 18 teams have been invited for now. There's 16 spots available. First in best dressed, we have until next Thursday to fill it. Thanks for the invitation. 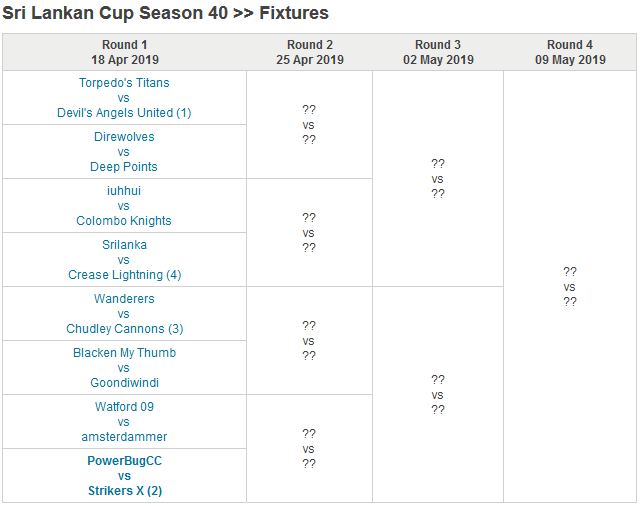 Unfortunately Ceylonain Blasters can’t join this time ...part of a friendly tournament that ends a week after this one is scheduled to start. I’ll keep the dates free next season ...would’ve loved to take part. Also note that it has only been 16 teams the last two seasons, if Torp can't afford a 16 team comp he might go back to 8 teams. Just to confirm, we're all doing this thing where we let me win but pretend everyone was trying all along right? Saved (Uneven) orders on a dry it is!